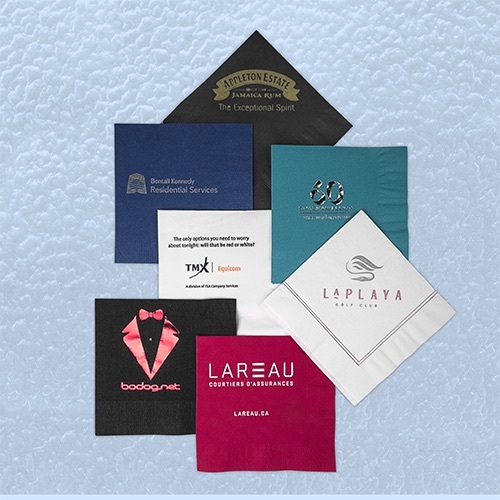 Ideal for restaurants, clubs, hotels and corporate events; in the boardroom or sales meeting, these are the perfect miniature billboards to put under food and drinks. Get your message across right next to your customers' lips! Available in 5" x 5" (126mm x 126mm) Cocktail, 6 1/2" x 6 1/2" (164mm x 164mm) Luncheon and 4 1/4" x 7 1/2" (105mm x 190mm) Dinner sizes with low minimums at affordable prices. Available in a rainbow of white and vibrant colors, please see our color chart for details. New! 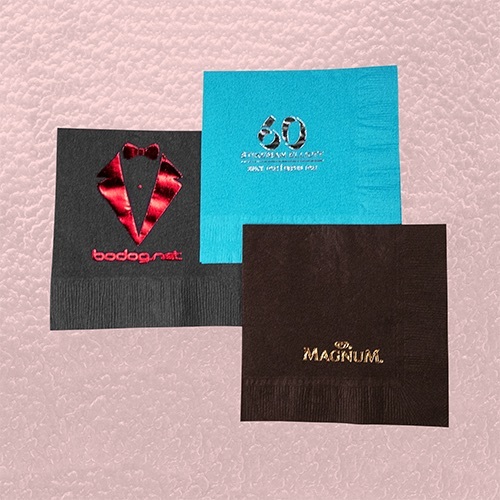 lower quantities for 4 color process napkins starting at 1,000 napkins for 3 ply thickness and 9,000 napkins for 2 ply. 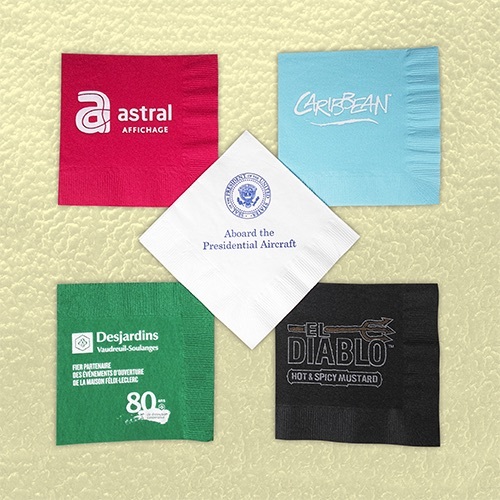 * Napkin colors marked with * are available up to 5,000 at a time only. *FOIL STAMPING is available in gold, silver and white. Other colors on request. Foil stamping cannot be combined with any imprinted ink color.